Inlaws & Outlaws will run at Central Cinema during Valentine's Day Week from February 13th thru February 17th, 2008 at 6:30pm and 9:15pm in Seattle, WA as part of the Inlaws & Outlaws Movie Tour. Join Filmmaker, Drew Emery on February 13th at the 6:30 pm show.. A question & answer session will follow the screening for those interested in finding out more about the film. Central Cinema is Seattle's only pizza & beer movie theater is located in the Central District neighborhood at 21st & Union. 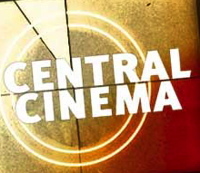 Tickets are just $5 and can be purchased at Central Cinema. For more information call (206) 686-MOVI (6684).